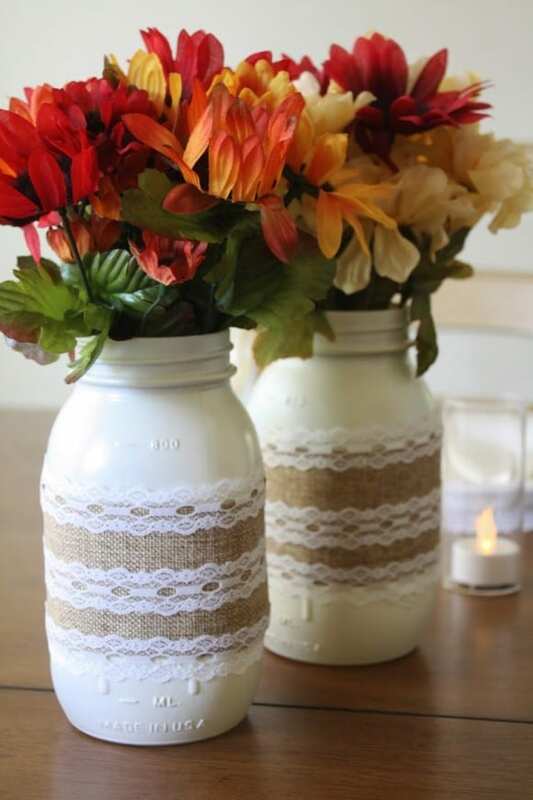 These burlap and lace mason jar centerpieces are so easy to make, you can even do it the morning of Thanksgiving! 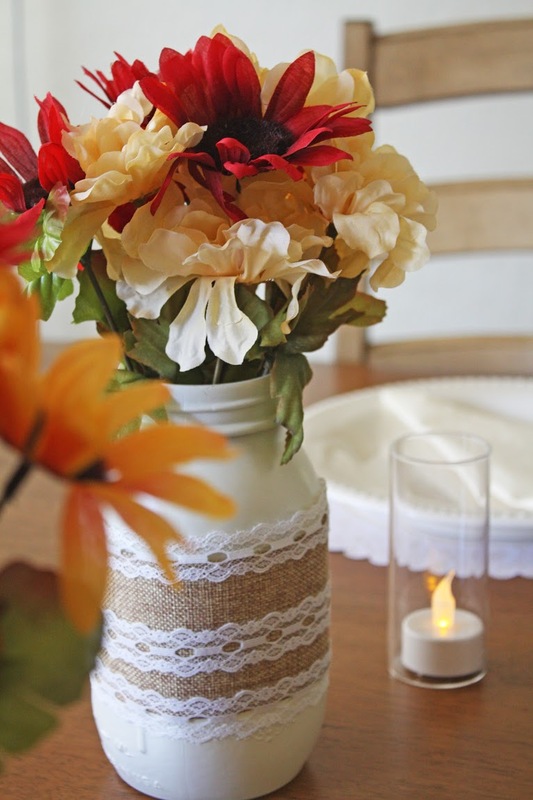 I love anything rustic for Thanksgiving! I think it creates a warm and homey vibe. 1. 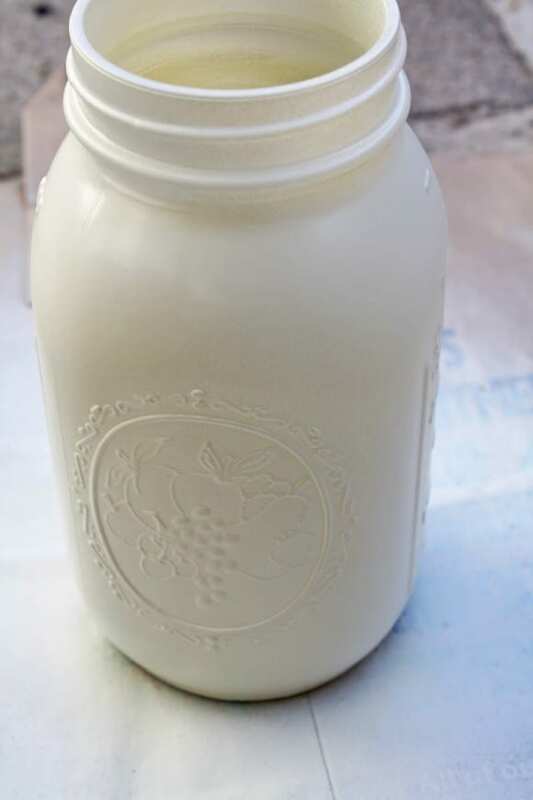 Spray paint each mason jar with the ivory satin paint. 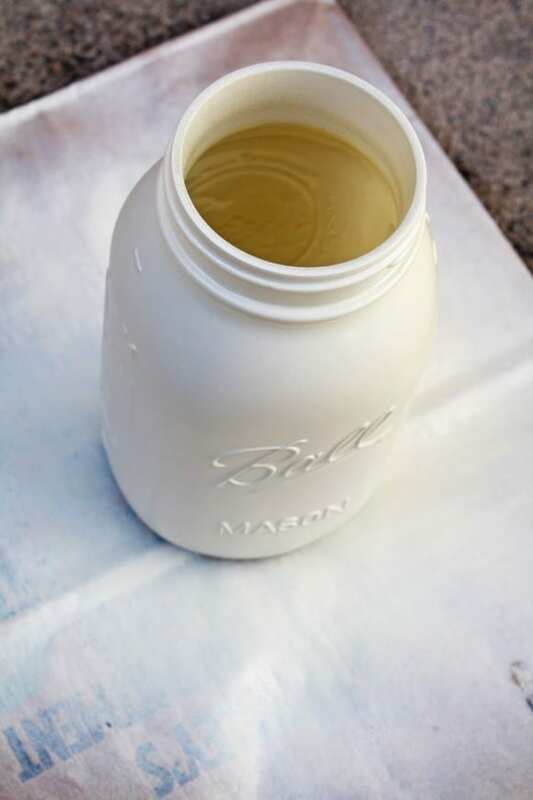 Hold can 12-­14” from jar so that you do not create drips. 2. Allow jars to dry. 3. 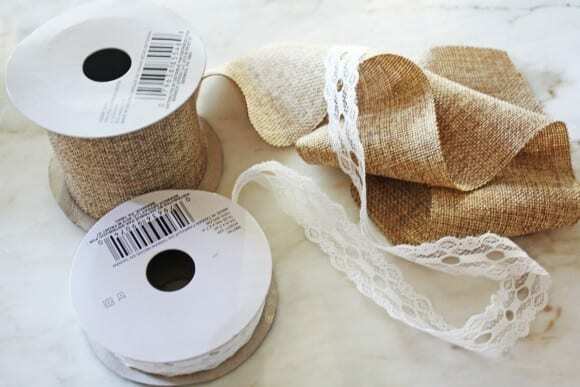 Cut burlap ribbon so that it fits around the entire jar. Repeat with three pieces of lace ribbon. 4. Hot glue the burlap ribbon onto the center of the jar. 5. 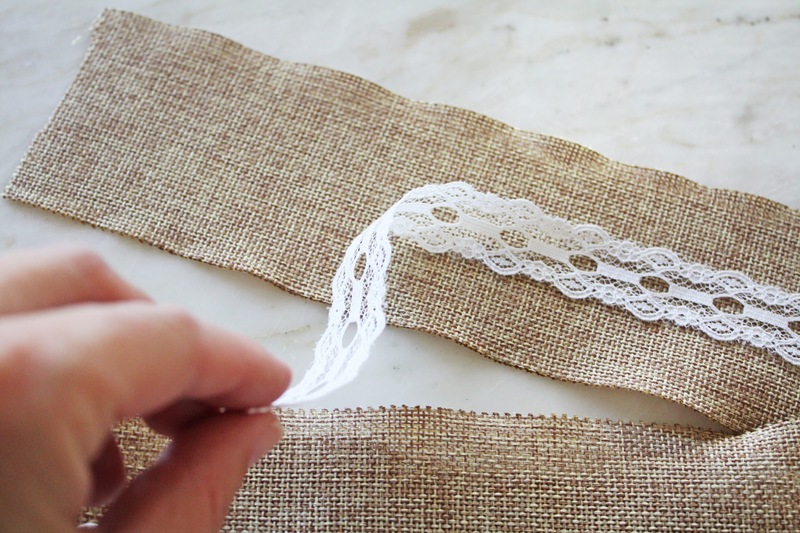 Add the lace ribbon to jar. 6. Fill with faux or real floral arrangements. 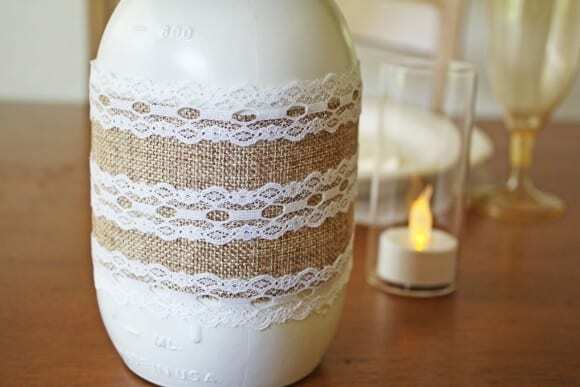 Perfect for a shabby chic baby or bridal shower. Add a fabric number to the center of the jar and use for tables at a fall wedding. This post was created by our food and craft contributor, Shauna, at Ella and Annie Magazine. To see more of Shauna's beautiful work, check out Ella and Annie Magazine and visit her on Facebook,Twitter, Instagram, and Pinterest.